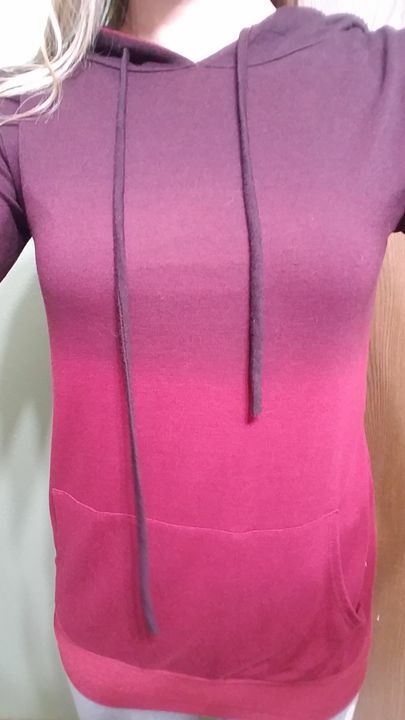 This super cute burgundy ombre hoodie is a must-have! Mack is 5'5.5'' a size 34B and wearing a x-small. Beautiful sweater! Love the color. I'd say it fits a bit big, I wear a medium in everything and ordered a small, it's fitted but not tight. The material is so soft, perfect to wear under a vest. It's not a big thick hoodie, material is thin. Love the ombré look. Very comfortable and fits perfectly. It’s light & so soft. Perfect length to wear with leggings. Love this shirt! Super comfy! Ran a little large.